I know exactly how he feels…One of the scariest things which I don’t like to even think about (let alone mention in public like this) is that I know far too much about Hello Kitty than is healthy for any grown man (or person for that matter, but being a grown man makes it all that much worse). The information seems to invade your body when you live in a Hello Kitty Hell like an unwanted parasite. I don’t want to know this stuff. I have no interest in this stuff. I don’t want anything to do with it. Yet at the end of the day, it seeps into my memory in the depths of my brain and can’t be purged. Hello Kitty facts sitting up there wasting valuable brain space and not a damn thing I can do about it. My wife thinks that this is great. When she needs to know some obscure fact about Hello Kitty that she can’t remember, she’ll call to me and more often than not I’ll know the answer. Can it get any worse than that? Knowing facts that you don’t want to know about Hello Kitty. I’m surprised I haven’t been committed. For example, the following left my mouth (to my extreme horror) at a get-together of my wife’s friends when one of them mentioned how it was wonderful that Hello Kitty was born in Japan. Any normal person would not have even thought twice about the comment, but the Hello Kitty information invaders in my mind couldn’t let it pass. My response? “While a lot of people assume that Hello Kitty was born in Tokyo, Japan, she was really born in London, England when her father, George, was on transfer there with his company.” These are the things that are stuck in my mind and come out in conversations and there is nothing I can do about it. I took off for the weekend to Las Vegas to meet my business partner, Nate, with whom I’ve worked on a number of websites, but had never met before. I thought that this trip would get me away from my Hello Kitty Hell for at least a weekend, but alas, this was not the case. 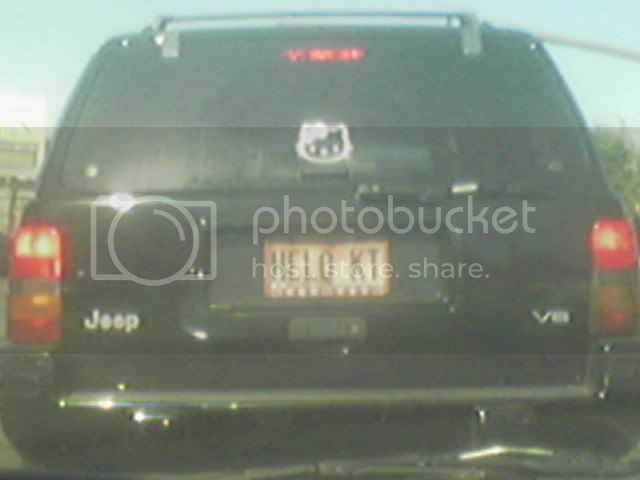 You see, when people hear about my Hello Kitty Hell, they think that it’s humorous. Looking at it from the outside, I guess I could see this point of view. Being on the inside, however, the Hello Kitty Hell multiplies with the number of people who learn about what I have to live with because they continually bring it up (as they laugh). Instead of escaping from Hello Kitty on this trip, Nate made us go into every Hello Kitty shop we came across to try and find a gift for my wife that she didn’t already have. Of course, I would never even consider getting something Hello Kitty for my wife because that might encourage her and make her believe that I actually support her Hello Kitty fanaticism in some way. Actually, it’s pretty much a moot point because there is rarely anything that I ever see that she doesn’t already have. I am now painfully aware of every Hello Kitty shop in the Las Vegas area. When I explained to my wife what Nate had done to me, she was overjoyed that I could now take her if we go to Vegas in the future. She also wanted to know why Nate was willing to take a photo with Hello Kitty and I always refuse. One of the most frustrating aspects of living in a Hello Kitty Hell is the embarrassment that comes along with it. 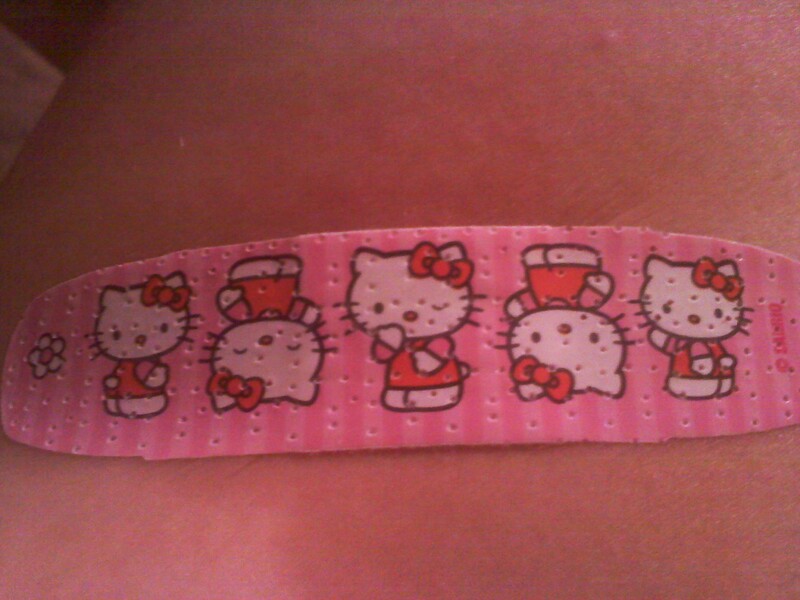 Yesterday morning I accidentally gave myself a nice paper cut and needed a band-aid to protect it. Of course, the only band-aids that we have in the house are Hello Kitty band-aids. Not really having a choice in the matter, I reluctantly wrapped my finger in the Hello Kitty band-aid and went about my business. I didn’t think anything more of it until I was at a cash register ready to make a purchase and the sales lady kept looking at my finger and then back up to me with such a strange look that she obviously thought I was some kind of psycho. How could I blame her? 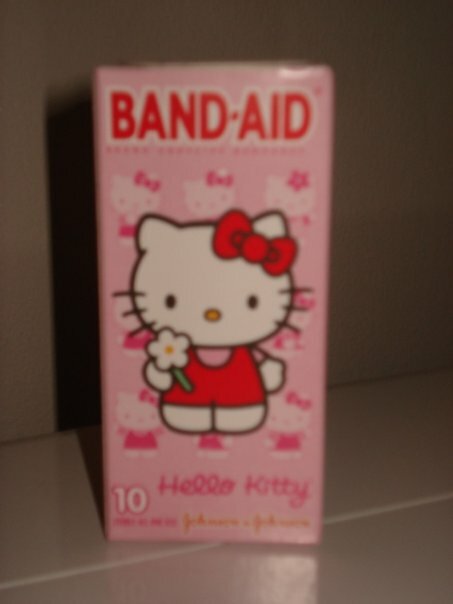 – a grown man walking around with a Hello Kitty band-aid is not something normal nor can it be adequately explained in a couple of minutes. One of the things that always happens when people become aware of my Hello Kitty Hell is that they begin to send me photos of all those random and strange Hello Kitty things that are available. Since the vast majority of people in the world actually have common sense, they believe that everyone else has the same common sense. While this is a logical assumption, it most definitely doesn’t apply to Hello Kitty fanatics. Of course, this was exactly the reaction of my wife. “OMG, is that the cutest thing ever!!??!! I want one!” It didn’t matter that I explained that the photo had been photoshopped and the car didn’t really exist. She wants it. The photo has already been printed out and placed on her bulletin board as an incentive to grow the Hello Kitty business more and it is all I will be hearing about for the next month. But the truly scary part is that if she ever gets the money to afford something like that, I have no doubt that she’ll take the photo down to the Ferrari dealer and say she wants it painted exactly like this. I live in a Hello Kitty Hell, no ifs, ands or buts about it. You may not believe it at this moment, but as this journal expands you will no doubt come to that conclusion. It will make you feel good, bring a little joy to your life, knowing that your life may have problems, but it isn’t nearly as bad as living in a Hello Kitty Hell. This is the reaction that I receive from most that hear my story. So I now find myself in a catch 22 Hello Kitty Hell. I encouraged her to turn her hobby into a money making venture so I can’t really ask her to stop, but you have to start questioning if it has gone too far when you have 4 different types of Hello Kitty toilet paper to choose from in the bathroom. If 4 types of toilet paper wasn’t bad enough, one of the rolls actually mocks my Hello Kitty Hell – look at pattern in the top right corner – doesn’t it look like Hello Kitty is flipping me off as she winks at me?